Buko Pandan a traditional Filipino Dessert made with agar-agar, coconut strings, pearls, evaporated milk, and condensed milk. This is a refreshing dessert to eat on a warm day. 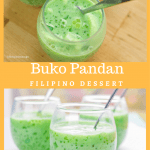 Buko Pandan is a traditional Filipino Dessert which is a staple dessert for most Filipino get togethers- and that’s how I discovered this delicious dessert! If you ever visit the Philippines, purchase the Buko Pandan from Chow King, it is so good. They top the Buko Pandan with coconut ice cream and it’s so delicious. I remember when I visited the Philippines in 2009, the week I was to leave, I visited the mall everyday to eat Buko Pandan. *sigh* Which brings me to announce, I will be visiting the Philippines next summer 2015! YEY!! I will be going with my church and we will be doing health seminars and VBS. I cannot wait to go back!! 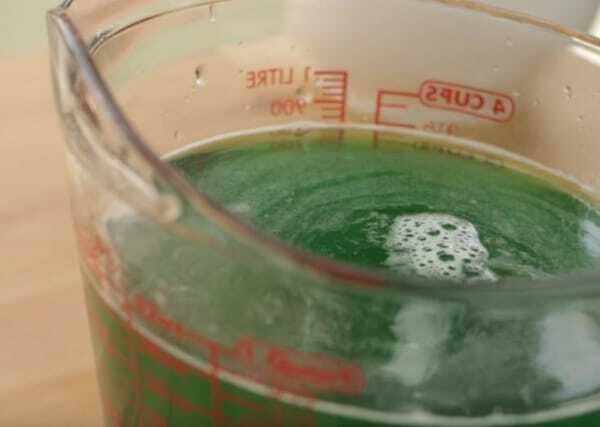 In this recipe, if you cannot find agar-agar, you can use green gelatin. 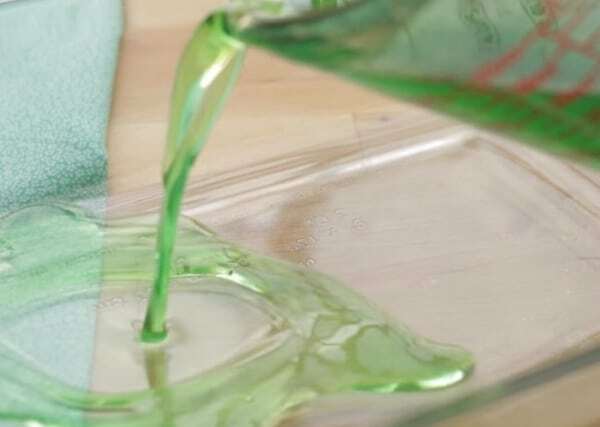 If you just have the clear version of gelatin on hand, you can just put in a few drops of green food color after you dissolve it in hot water. If you are in the Philippines, I am sure you are so lucky to get the best of fresh buko flesh. Go ahead and use them! 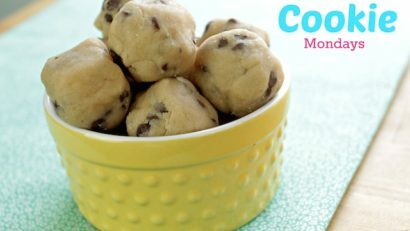 I am sure they taste so much better than the frozen ones! 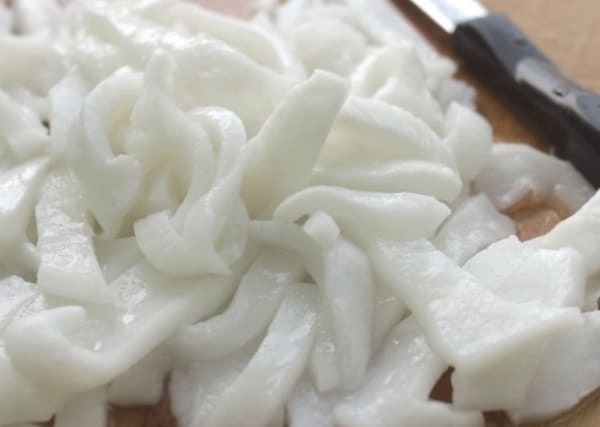 If you are using fresh buko flesh, don’t forget to drain the buko juice from the flesh completely, as the buko juice has the tendency to spoil desserts faster when included in buko desserts like Buko Pandan. The cooking time of tapioca pearls vary. When you use the bigger sizes, it usually takes 25-30 minutes to cook it. It is always best to taste it before draining it to make sure it is completely cooked. 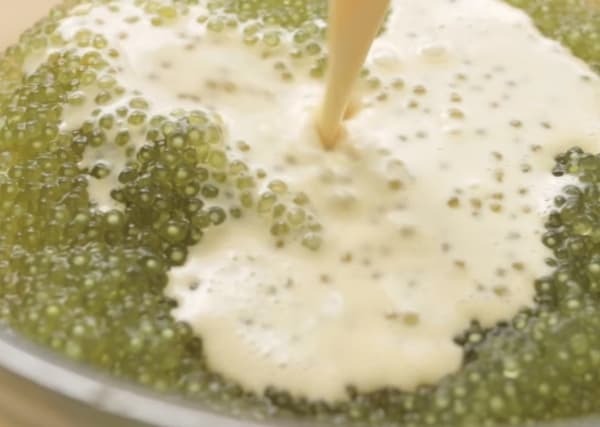 One tip to know if tapioca pearls are cooked already: it has to be translucent, soft and just has a bit of white part in the middle of each pearl. 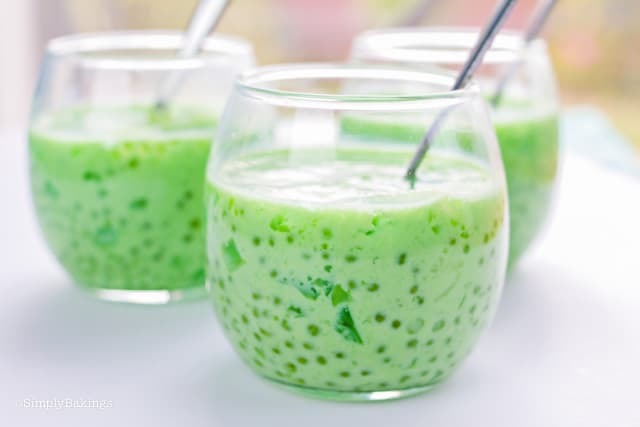 Gather all ingredients- sliced young coconut, agar-agar, tapioca pearls, pandan flavor/extract, evaporated milk, condensed milk, and gelatin. You will also need water to cook the tapioca pearls in. Now, this is the exciting part! 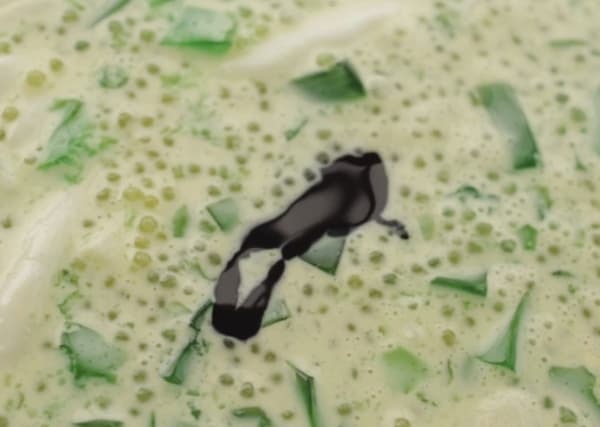 The pandan flavor makes this dessert so fragrant you’re going to want to eat it now- but remember to be patient because it tastes better chilled. For a step-by-step tutorial of the Buko Pandan recipe, you can watch my video tutorial below. Follow the ingredients to make Agar-Agar. 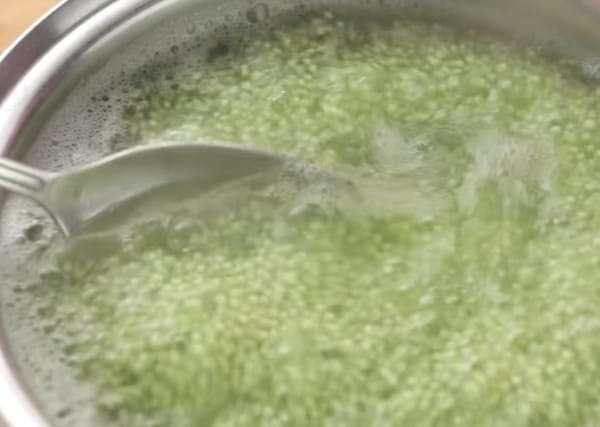 To make the tapioca pearls, boil 2 cups water, when water is boiling add tapioca pearls and boil for 15 minutes. Make to keep stirring or the tapioca pearls will stick together. 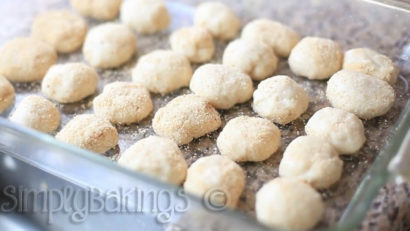 Once tapioca pearls are soft, strain and allow it to cool for at least 15 minutes. In a large bowl, add tapioca pearls, shredded young coconut, condensed milk, evaporated milk, nestle cream, and mix until well combined. Add pandan and continue mixing. 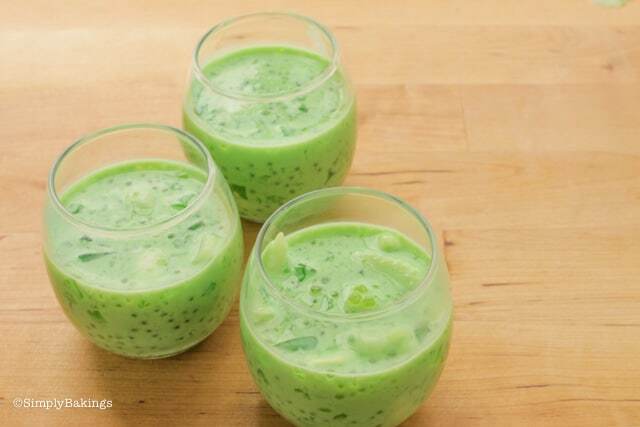 Allow the buko pandan to chill for at least 1 hour before serving. 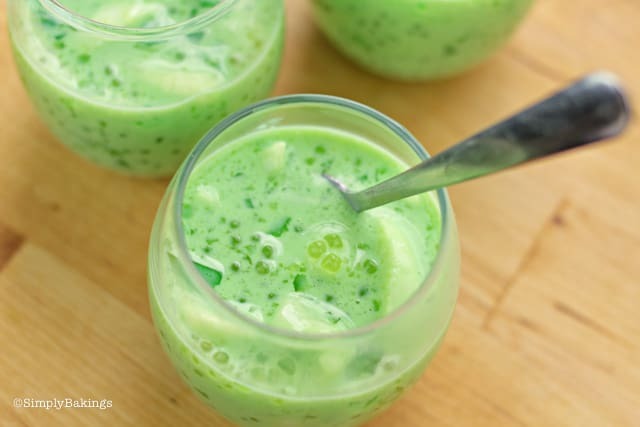 WANT TO TRY THIS Buko Pandan? 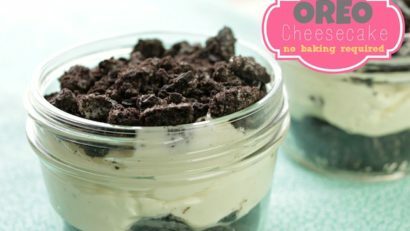 PIN IT TO YOUR DESSERT BOARD TO SAVE IT! Hi Blessie! Just saw this comment! Thank you so much, I did enjoy it when I went. I will be back next summer. Can’t wait!! It makes about 4-6 large servings. Sorry for the late reply! At you nearby asian market. Sorry for the late reply……. it’s also labeled KANTEN in the supermarkets’ Asian/Ethnic aisles and maybe even the Asian markets/stores. Hope you’ve found it by now! Hey, Sheryl! You can buy them at grocery stores and if you have an Asian store nearby, I am sure they have agar-agar. I apologize for the late reply… I am excited to see your Buko Pandan version. Ma’am I would like to ask if there’s a blue colored agar-agar ? Or people just poured some food color? 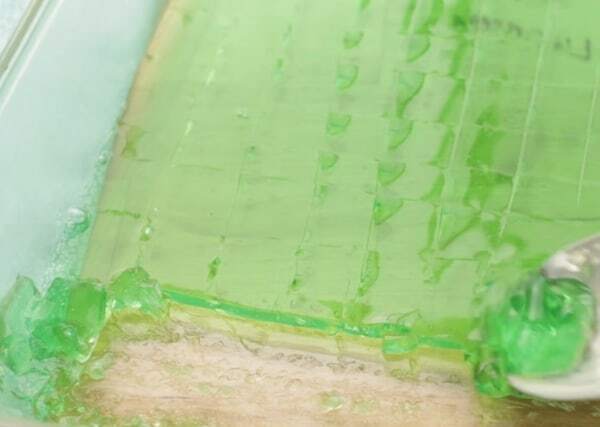 I wanted to make buko pandan with blue colored agar-agar for my daughter’s 5th birthday. Hey, Janelle! Thank you! 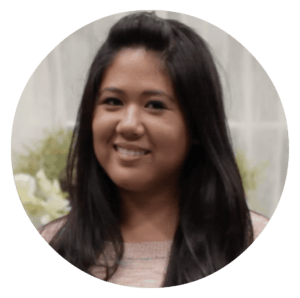 Hope you check out my other recipes! Can i make this night before serving? Yes you can make this the night before, but place it in your fridge. Thanks for swinging by. 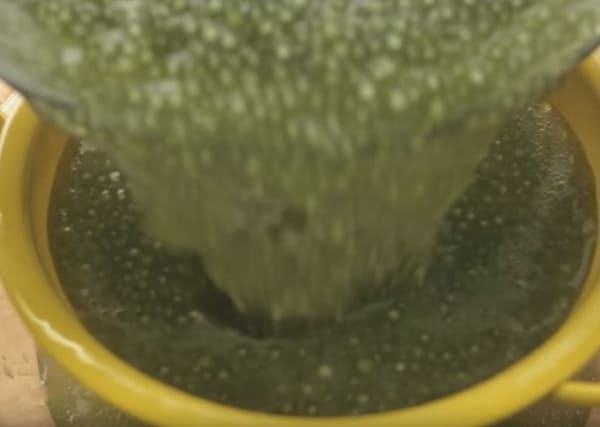 What green gelatin did you use? Hey, Cindy! 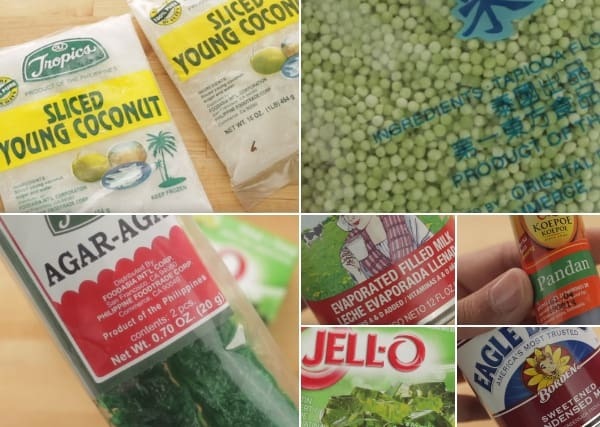 I used the brand Jell-o but you can use any that is available at the groceries near you. Please tag me on any of my social media with your buko pandan photos 🙂 Thank you so much! 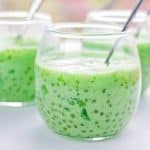 Can you add food color to the plain tapioca pearls? Hi Jiamaila! 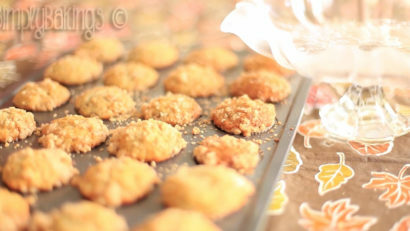 For this recipe, I used the Nestle cream (250ml). 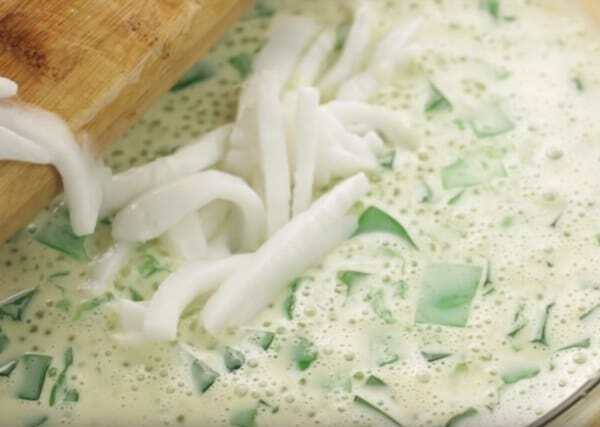 Hope you make an awesome version of this Buko Pandan recipe. Don’t hesitate to ask more questions if you need to 🙂 Thank you!